Our Swiss Water Process Sumatra Mandheling Decaf is produced by the Gayo Megah Berseri Cooperative in the Jagong Jeget district within the Central Aceh region in Northern Sumatra. The co-op is made up of 554 individual farmers, of which nearly half (211) are women. The farmers inhabit nine different villages, and in 2012 decided to band together and formed the co-op to increase their premiums and improve their communities while also boosting output and quality. Each village has a central collector who provides both processing of the cherries as well as training in sustainable growing techniques that is provided to every co-op member. Jagong Jeget is technically one of 14 administrative districts in Central Aceh, while Mandheling refers to the larger, multi-region growing area, historically occupied by Northern Sumatra’s Mandheling tribesmen. Each farm averages about 2 acres with elevations ranging from 4,400 – 4,900 ft above sea level. The varietals are a mix of Ateng, S795, S288 and TimTim. Both S288 (Selection 288) and S795 (Selection 795) were developed in India and crossed with Kent varietals to improve their resistance to coffee rust. Growers of Sumatra (and Sulawesi) are the world’s exclusive practitioners of the Semi-Washed / Wet Hulled (or Giling Basah) process. A chief characteristic of the process is the moisture content of the parchment at the point of sale – Washed or Wet Process coffees (which are the most common throughout the world) are pulped, fermented, washed and dried in the parchment until moisture content is reduced to approximately 10-12%, which typically takes about 12-24 hours. Conversely Semi-Washed coffees like this Sumatra Mandheling Decaf SWP are pulped and dried for only a handful of hours until moisture is somewhere between 25 and 50%. At this point the parchment layer is still intact along with a good portion of the mucilage, causing the beans to be gummy and sticky if not outright slimy to the touch. With regards to flavor, the extra mucilage profoundly alters the cup profile by providing more sweetness and even body. In effect this makes the semi-washed process a sort of mid way point between washed coffees and naturals. In yet another departure from convention, the drying of semi-washed parchment occurs on natural clay or dirt patios where the beans freely absorb the characteristics and minerality of the soil, which in turn contributes greatly to the classic, earthy profile of the semi-washed. Moreover semi-washed beans appear to have a bluish hue and frequently curly shape when compared to other types of green, due to their unique processing and elevated moisture content. With regard to decaffeination, once our Sumatra arrives in U.S., it’s transported to the main Swiss Water facility where it undergoes their patented, eco-friendly and chemical-free process that removes 99.9% of caffeine. Each lot is immersed in clean water to extract the caffeine through osmosis and passed through activated carbon-charcoal to remove the caffeine molecules. After final round of drying the final Sumatra Mandheling Decaf SWP is repackaged and sent back to The Annex where it eagerly awaits for your order. 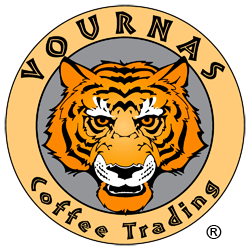 Sumatra is the second largest island in the Republic of Indonesia and historically a major player in the world coffee trade. It was here along with Java, Sulawesi and Timor where Dutch colonial traders first introduced African arabica coffee trees in the 18th century. 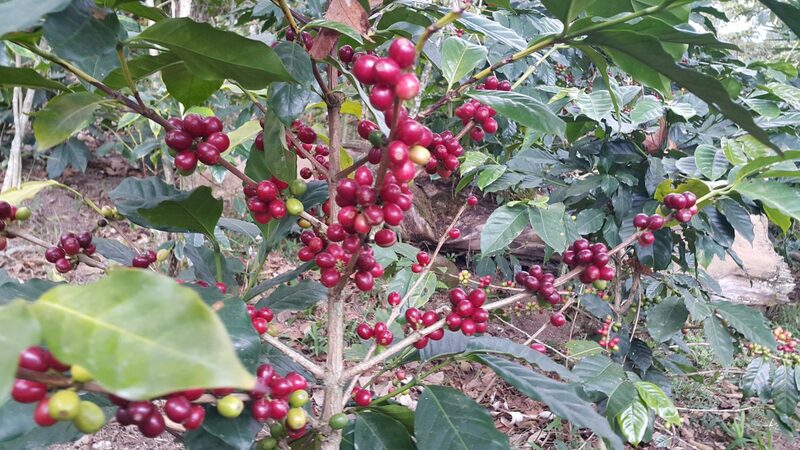 Since that time, those original varietals have been cross-bred and hybridized to create several, now indigenous Indonesian species like Ateng, Bergendal, Djember and TimTim. Cupping Notes: At a lighter roast, nice, earthy and syrupy aroma. Big body, muted notes of dark chocolate, syrupy mouthfeel, a pleasant lingering finish and very low acidity compared to washed Centrals.